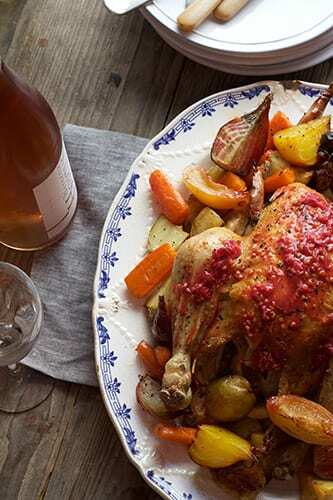 Discover Jette Virdi’s Roast Chicken paired with a Rosé wine from Domaine Bergerie de L’Hortus. Walking into a kitchen where a chicken has slowly been roasting away in the oven, is probably the closest to heaven we have on earth. Everyone has their own way of roasting the chicken, and I must admit that my bird has always gotten the Julia Child treatment, but there’s always room for a little adventure. Jette’s chicken favours rapeseed oil over butter and braves a red currant jus rather than the traditional gravy (from stock; we’ll hear nothing of granules around these parts!). 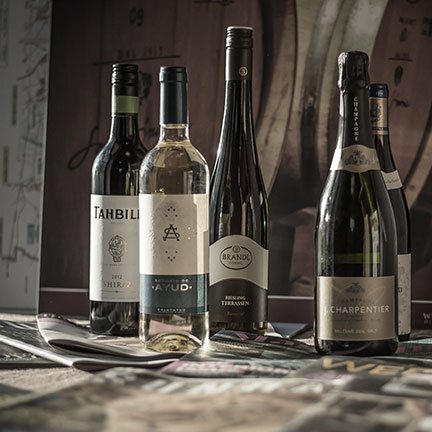 It is, however, the jus which perfectly connects the meal with the wine, in this case. The luscious red currants lose just a hint of their tartness, marrying with the ripe red fruits in the Rosé. 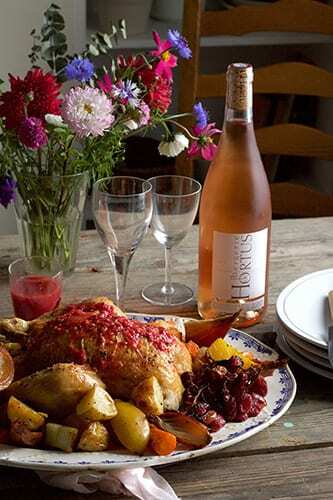 Bergerie de L’Hortus have crafted a magnificent Rosé from Syrah and Grenache. While many fear a Rosé to be sweet and light, this Rosé takes its spice from the Syrah and its body from the Grenache. Winemaker, Jean Orliac, has ensured that the red grapes haven’t sacrificed their characteristics when creating this Rosé. Alongside the chicken are roast vegetables. Simple, wholesome, and when cooked to perfection are as good as the main event. We’re all about root veg at this time of the year; butternut squash, pumpkin, marrow, the list is endless and tasty! Jette recommends carrot, parsnip and potatoes, but let your imagination, and your tummy, do the talking.